I dedicated this morning’s run to all of us, because we were all there and we all belong. 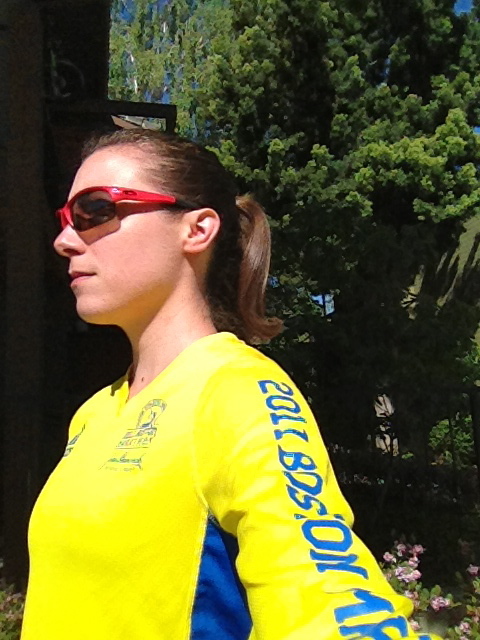 When I ran the Boston Marathon in 2011, I didn’t think I was good enough to be there. I didn’t qualify for my bib—I got it through the magazine I was writing for at the time, and I felt like a hack when I toed the start line. I wasn’t fast enough. I didn’t train hard enough. I had a terrible run. The first half downhill ripped up my quads, and then I ran out of steam on the Newton hills, Heartbreak indeed. I finished in 4:23:44, and figured I deserved the slow time and the sore muscles because I didn’t belong there—that was my punishment for pretending that I did. The pain I felt during those 26.2 miles in 2011 was nothing compared to the shock and sadness that coursed through me yesterday. I wasn’t there, and yet I was. I’d been following the race all morning—sending positive vibes, cheering on friends from my kitchen table 3, 133 miles away. I wasn’t open enough to realize it at the time, but Boston did belong to me, and it still belongs to me now. As runners, Boston belongs to all of us. A course that’s just as hard for the pros as it is for the plodders, Boston is the marathon of marathons. We yearn for it, we’re in awe of it, we push ourselves for the opportunity to tackle it one day, and we’re proud of our friends for achieving the honor of entry. No matter what brought us to the start line, no matter what happened at the finish, Boston is ours and it always will be.